Among the disciplines illuminating the process of communication, General Semantics, founded by the Polish nobleman and mathematician Alfred Korzybski, has made an important contribution. The major theories of the new science were presented by Korzybski in his books Manhood of Humanity (1921/2016) and Science and Sanity (1933/1994). Together, they represent an astute attempt to examine the relationship of perception, reality, and the use of language “in order to attune the operations of the human nervous system to the operations of the rest of nature.” For Korzybski, insanity is no less than their misalignment. From the perspective of General Semantics, a fundamental problem in human communication is the discrepancy between the structure of man’s verbal systems and the structure of the empirical world. To state it simply––in relation to objects, experiences, or events, words are not themselves the realities to which they refer. Rather, they are personalized aural or written representations of those realities, “maps” of those territories. Moreover, the totality of any reality is never directly accessible; consequently, any communicated observation necessarily represents a partial statement, an abstraction from all that is actually “out there.” Additionally, the empirical world does not remain static but changes continuously at all levels. From this perspective, language communication for the General Semanticist remains at best an exchange of subjective terms about continuously altering realities which are always only partially observed. Korzybski postulates that this fundamental problem of language is overlooked in most communications because of the prevailing Aristotelian system of logic which structures thought and speech in our society. The axioms of that system are contained in the well-known Laws of Thought: 1, the law of identity (whatever is, is); 2, the law of contradiction (nothing can both be and not be); and 3, the law of the excluded third (everything must either be, or not be). As premises, these axioms immediately distort perception. Identity, absolute sameness in all respects, is assumed as an empirical principle while partial identity is seen as self-contradictory. Observed realities are “languaged” as always black or white with no possibility of variance. Therapists must keep in mind that the idiomatic and changing reality of the patient’s experiences will never be directly accessible to the analyst–or for that matter, even retrospectively to the patient--and that at best what will be received are the patient’s filtered verbal representations of portions of that experience. Accordingly, therapists must be keenly attentive to the phonetic, grammatical, semantic, intonational and mimetic peculiarities of that experience as it is translated through the patient’s communication. To the extent that the analyst is able to decode the patient’s ground language and, as much as possible, formulate understandings and interpretations to the patient in similar language, therapeutic communication will be more effective. Consistent with the General Semantics perspective, therapists should be aware that their assessments and interpretations of patients’ experiences are based on their prior “maps” as well as those of other theoreticians: diagnostic categories, models of the mind, disciplines, and techniques (Freudian, Kleinian, Self-psychological, Intersubjective, Relational). When therapists use psychoanalytic, psychological, and psychiatric concepts and diagnostic categories––neurosis, borderline condition, narcissistic rage, transmuting internalizations––they must keep in mind that they are using language maps to refer to observed or reported experiences (which are themselves abstracts of total realities), and not treat concepts and category words as though they actually referred to some quality inherent to the patient. From a General Semantics perspective, patients are not static configurations with a given and permanently fixed operative history, but beings-in-process and highly interdependent with other structures. The assessment of the patient and the direction of the therapy should not blindly accommodate prior “maps” but rather, the patient’s data and the specifics of the person-to-person relationship should be examined as unique territory requiring new cartography. Accordingly, it would make General Semantics sense that psychoanalytic language, on an individual and academic basis, be free from blind adherence to any traditional or favorite model and be in a continual state of examination, refinement, and revision. Intersubjective theory differs from other psychoanalytic theories in that it does not posit particular psychological contents that are presumed to be universally salient in personality development and in pathogenesis. It is a process theory offering broad methodological and epistemological principles for investigating different psychoanalytic theories by contextualizing them. From an intersubjective perspective, the content themes of various metapsychological doctrines––Freud’s Oedipus complex, Klein’s paranoid/schizoid and depressive positions, Kohut’s mirroring, idealizing and twinship longings and the like––can be deabsolutized, deuniversalized and recognized as powerful metaphors and imagery that can become salient in the subjective worlds of some people under particular intersubjective circumstances. We recognize that our present understanding of anything or anyone is only a perspective within a horizon inevitably limited by the historicity of our own organized and organizing experience. We criticize the very concept of technique in psychoanalysis as relying on an assumption that one isolated mind, the analyst, is supposed to do something to another isolated mind, the patient (pp. 2-4). As therapists, we need to: a) be conscious of the difference in structure of patients’ problems at verbal and non-verbal levels; b) be aware that our ’theories’ about sanity and therapy are no more than incomplete accounts, abstractions made from a world richer and in process; c) be conscious that the structure of our knowledge processes involves a specific set of relations that impinge on us; in therapy we deal with inferences, by inferential means, never with ‘pure facts,’ as “there are no facts free from doctrine“ (Korzybski, 1924); and, d) remain aware that this situation is unavoidable in terms of human ‘knowledge.’ That is, the best we can do is to work at structurally adjusting our ‘experiences in therapy. This will result, I think, in therapists expanding the limits of their ‘knowledge’ using their self-reflexive and meta-communicative processes. 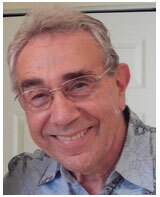 Carmine Giordano, NCPsyA, is a graduate of NPAP. He has a Masters in English Literature and was an assistant principal in English on the NYC Board of Education. In 1993 he was awarded a Fulbright Scholarship to study in Italy. He is an associate editor of Abalone Moon, an online poetry magazine, and has published three collections of poetry: The Courage of Flowers, The Hero’s Journey and Still Sing (Xlibris Press). Carmine is an adjunct lecturer in English at Palm Beach State College and conducts poetry workshops for the Palm Beach County Library System. Caro, I. (2004). General semantics theory: Its implications for psychotherapy. ETC: A Review of General Semantics, 61(3), 308-326. Korzybski, A. (1924). Time-binding: The general theory (First Paper). Fort Worth, TX: Institute of General Semantics. Stolorow, R., Orange, D., & Atwood, G. (1998). Thinking and working contextually: Toward a philosophy of psychoanalytic practice. The Round Robin, 13(2), 1-6.